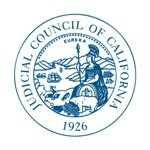 SAN FRANCISCO—Chief Justice Tani G. Cantil-Sakauye today announced formation of a Judicial Council working group that will review recommendations by the California State Auditor from the audit on judicial branch spending released today. The working group will report back to the Judicial Council in February. Chairing the work group is Justice Douglas P. Miller, who also chairs the council’s Executive and Planning Committee. Members include Justice Jim Humes, presiding justice of the Court of Appeal, First Appellate District, Division One, Judge Laurie Earl, who chairs the council’s Trial Court Budget Advisory Committee, Judge Marcia Slough, chair of the Trial Court Presiding Judges Advisory Committee, council members Judge Charles D. Wachob and Judge Brian McCabe, former chair and vice chair of the Strategic Evaluation Committee, and Mary Beth Todd, council member and chair of the Court Executives Advisory Committee.